Travelling Northern Mariana Islands is (relatively) safe. 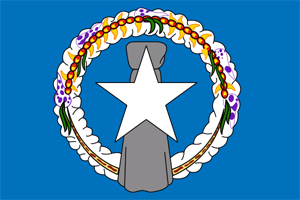 Northern Mariana Islands is a country in Oceania (Micronesia) with less than one million citizens and a land mass of 477 km². We detected travel advisories from one source for this country. "Wireless Hill cemetery" uploaded by I. Lee _. "Millers Estates" uploaded by I. Lee _. ""Mile 9.5" marker" uploaded by I. Lee _. "Chicken farm from Savana Drive" uploaded by I. Lee _. "Chicken farm from chalan Guguan " uploaded by I. Lee _. "Them birds ain't for sale, yo" uploaded by I. Lee _. "Some kind of utility box" uploaded by I. Lee _. "Coastal Drive, facing north-ish" uploaded by I. Lee _. "Managaha in the distance" uploaded by I. Lee _. "Abandoned-looking house being overtaken by jungle growth" uploaded by I. Lee _. ""NO TRESPASSING" up this hill" uploaded by I. Lee _. "A big anchor, shot facing west" uploaded by I. Lee _. "A cliff on the eastern side of Takpochao" uploaded by I. Lee _. "Tronkon pugua, facing northwest" uploaded by I. Lee _. "Papago Drive (not "Pohnpei Way") facing southeast" uploaded by I. Lee _. "Tun Goru Snack Bar wall menu" uploaded by I. Lee _. "Tun Goru Snack Bar" uploaded by I. Lee _.